Automation encompasses far more than just motion control. As the trend toward the industrial Internet of Things gains momentum, the requirements of machine automation are broadening. Components need intelligence, memory, and above all, connectivity. 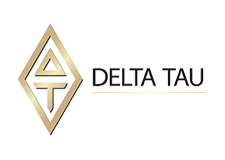 Building equipment now involves sensors, process control, PLCs, and the infrastructure to enable components to not only communicate with one another but to link to the Internet for discovery and control. 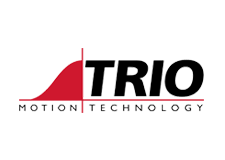 At Motion Solutions, we complement our motion offerings with automation equipment, parts, and subassemblies. This enables customers to easily build integrated systems with minimum effort. Programmable logic controllers are often thought of as the brains of the machine, processing much of the logic that enables a complex machine to function. Traditionally, PLCs specialized in tasks like timing, counting, and managing I/O. In recent years, these devices have become both specialized and varied. 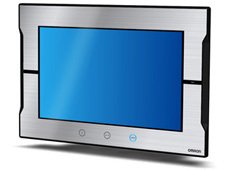 Some versions handle highly synchronized, multi-axis motion control. Others have built-in robotics capabilities, for example processing the kinematics for SCARA robots. Safety PLCs process large amounts of I/O and complex logic in order to implement functional safety. PLCs exist specifically for weighing tasks while others incorporate databases like SQL servers. Choosing a PLC today begins with determining what is possible and working with our sales team to determine which of our many options will best address the application. A human-machine interface (HMI) can be as simple as a push button or as sophisticated as a 15-inch diagonal, full-color VGA display. The HMI is an integral part of machine effectiveness because it determines how effectively the user can monitor and operate the equipment. HMIs are available with a variety of functions including data logging, remote access, and simple supervisory control and data acquisition (SCADA) functionality. Instead of simply showing an error code in a fault condition, they can now display a diagram of the machine pinpointing the location of the problem, then transmit recovery instructions to a portable device carried by the operator to the site of the failure. 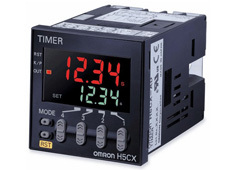 To save space and time, some HMIs are even integrated with the controller. There was a time connectivity meant linking devices to a shared backplane that sat in the cabinet next to the PLC. Once all of the ports were full, further expanding meant adding another backplane, even if it were just to accommodate one more device. 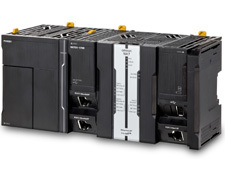 Today, field buses support modular remote I/O blocks that can be deployed out on the machine and connected to the PLC by a single cable. 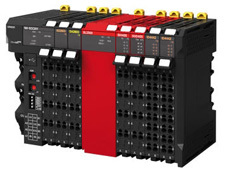 These I/O blocks can be increased one port at a time, adding flexibility and cutting cost while simplifying design. The reduction in cabling likewise lowers cost while reducing points of failure. 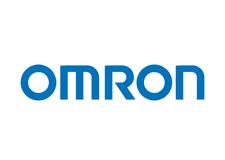 We offer devices compatible with the most popular industrial fieldbus protocols like EtherNet/IP, EtherCAT, DeviceNET, PROFIBUS-DP, and CompoBus/S. This level of communications speeds commissioning while enabling predictive maintenance and energy auditing. We carry a variety of counting options for any automation need. Models include total counting, timing, pre-set counting, and specific cam positioning. Look for devices that provide the response time and range required. Onboard battery backup is important to prevent loss of data in an outage. Data logging functionality can also be useful. Not all equipment needs an HMI. Depending upon the level of sophistication, a simple panel meter may be enough. 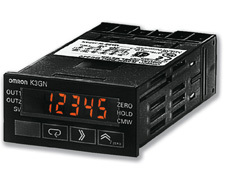 Panel meters can display analog or digital signals. These devices typically display input from field buses or simple sensors like temperature transducers. Some feature configurable limits that can be used to trigger output such as flashing lights when a certain value is reached. The digital panel meters that we offer support a wide array of input signals and have multi-color LCD displays. This helps the user clearly visualize the status of a process. 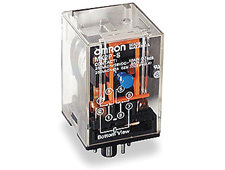 Relays provide a method for using a low-voltage signal to control a high-voltage system. A relay typically consists of a coil used to pull a contact that is normally closed into an open position or vice versa. Consider a 500 hp motor that operates on 480 V and 100 A of current. A 0.5 mA relay can be used to throw the switch to start the motor. As a result, the control panel remains low-voltage, despite the fact that it operates a high-voltage motor. The result is lower cost, simpler wiring, and higher levels of safety. Push buttons are the workhorse technology of the automation world. They are available in a variety of form factors and functions: square and round, lighted and unlighted, with diameters starting at 12 mm. Colors vary and functions range from emergency stop to toggle to momentary. Power supplies convert AC input into DC output, for example for running motors. They can be classed as linear or switched-mode power supplies. Linear power supplies use power transformers to convert AC input voltage to the desired DC output. Linear power supplies are simple, economicaland highly available. Because they use a transformer to make the conversion, they tend to be bulky and heavy, however. Switched-mode power supplies use pulse-width modulation (PWM) to convert AC input to DC output. Introduced in the 1960s, they offer a number of benefits including reduced size and weight. They also offer voltage regulation. For linear power supplies, output voltage drops as the load rises. In contrast, switched power supplies generate a consistent voltage independent of the load, at least until they reach overload condition. 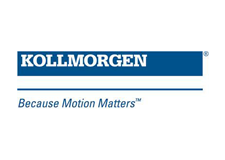 Switched power supplies are available from Motion Solutions across voltages ranging from 3.3 V up to 75 V. Purpose-specific versions are available, for example offering regenerative capabilities for multi-axis servo-motor systems. 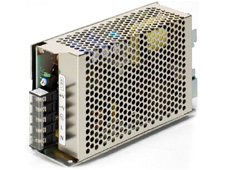 We also carry switched power supplies for medical applications, as well as safety-rated versions with built-in redundancy. Other units simplify maintenance with built-in timers and displays that show an alert when the unit is ready for replacement.